The Heatmiser SmartStat is a WiFi connected thermostat that replaces your existing thermostat and programmer. The SmartStat is controlled via the stat itself and an app from your smartphone. Perfect for those with a combi-boiler.It has been designed for wired systems, so there are no concerns over replacing batteries. The Heatmiser SmartStat is the ideal option for those simply wanting to replace their current thermostat to give them more control. 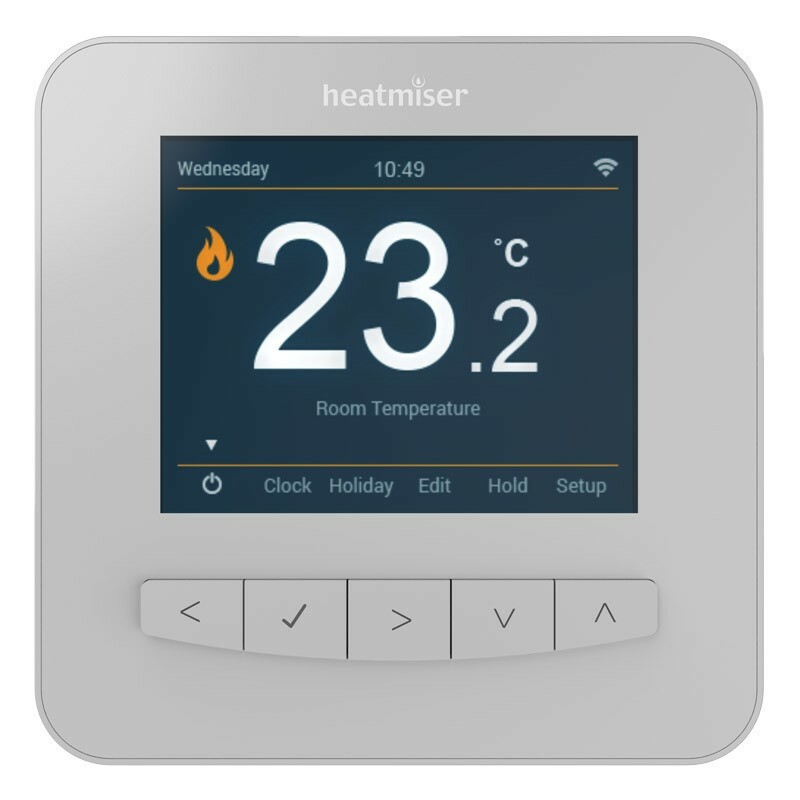 Thermostat And Programmer In One Gone are the days of having a separate programmer and thermostat – Smartstat is both in one so you no longer have to fiddle with the awkwardly positioned programmer. Now is the time to re-think how you heat your home. SmartStat lets you have different temperatures at different times of the day, not only an energy saving feature but one that creates a more comfortable living environment too.